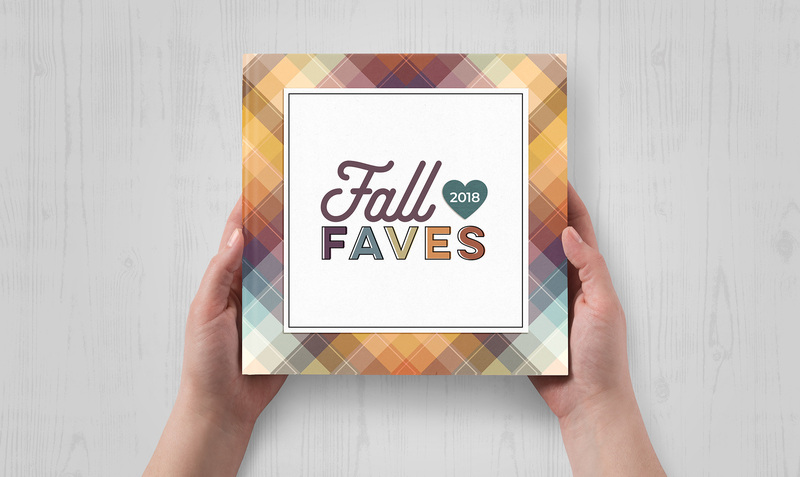 The first-ever Fall Faves is here! 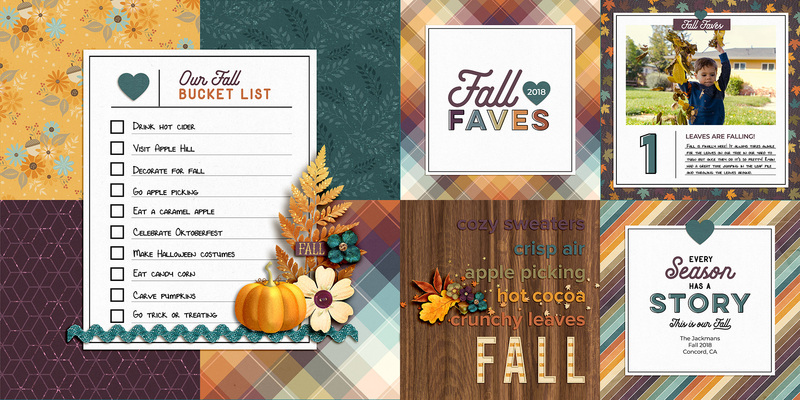 You are here: Home / Uncategorized / The first-ever Fall Faves is here! 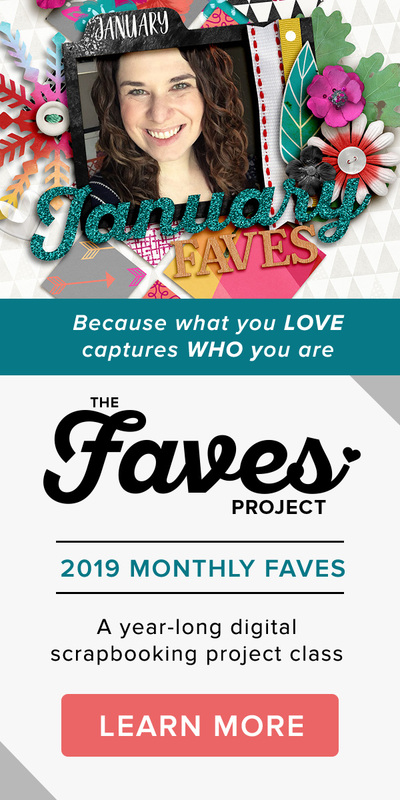 That’s right, The Faves Project is expanding to include the first-ever Fall Faves mini album class! If you’re ready, you can click this link below to sign up or scroll down for more details. 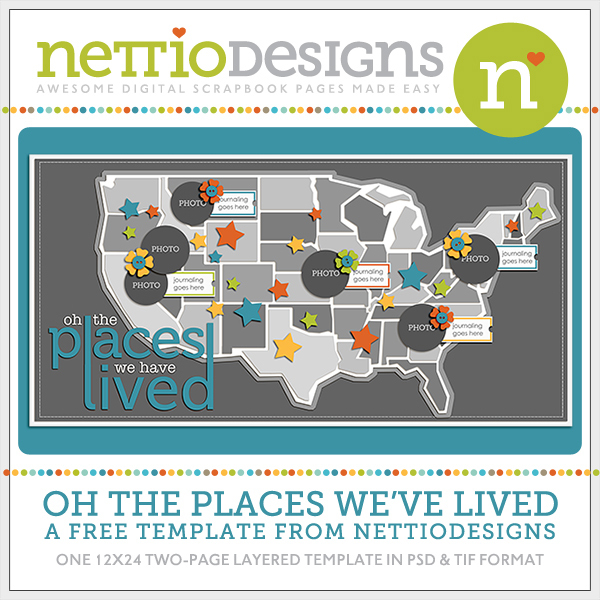 Sign up for Fall Faves here! 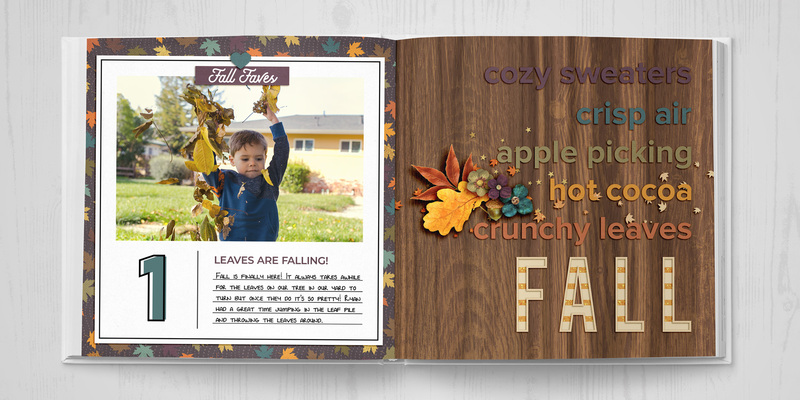 Born out of my love for Holiday Faves & Summer Faves, Fall Faves is my solution for creating an easy, mess-free, stress-free seasonal digital scrapbooking mini album, capturing your top-ten favorite things about the Fall season. 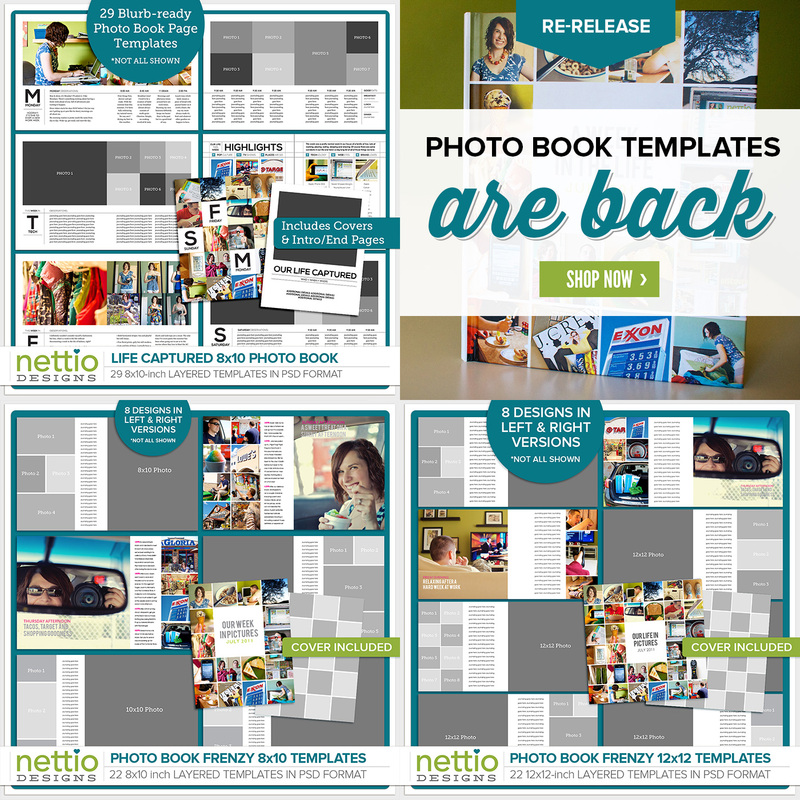 And here’s a look at the pages in action…just picture these pretty pages with all of YOUR fall adventures! 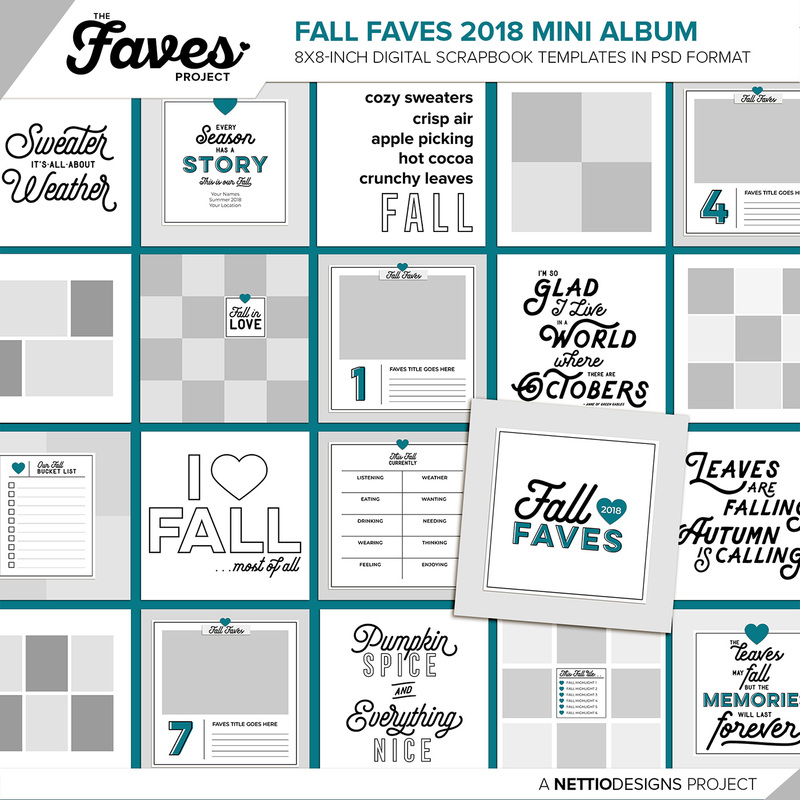 Registration for Fall Faves 2018 ends Monday, October 1st. Class will begin Tuesday, October 2nd go through Thursday, November 8th. 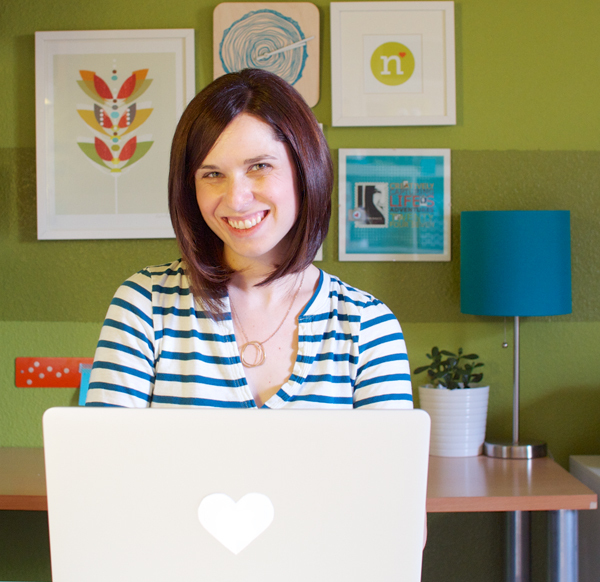 I hope you’ll join me on this seasonal scrapbooking adventure! Don’t forget registration ends Monday, October 1st at 11:59 PDT and class begins on Tuesday, October 2nd!